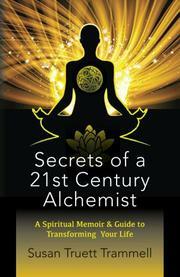 A guide to spiritual development and personal change in the modern era. Trammell (Outrageous Loving!, 2015, etc.) maintains that every human being on Earth “has the divine potential to consciously experience a life of fulfillment and completeness,” and she likens every life to a transformation. This idea is the keystone of this slim debut: “We are each and every one on a journey,” she writes, “or in process.” In the course of 12 short chapters ranging over many discipline, including history to philosophy and quantum science, Trammell inquires into the ongoing process of personal change. “If we don’t evolve we stagnate and eventually die,” she claims, citing the human ego as the main stumbling block to progress. She references the “New Thought” philosophy and its stance toward organized religion, which views Jesus as foremost a moral teacher, “the great example, rather than the great exception.” However, the beliefs here align quite well with standard post–Vatican II Christianity, in which, as she puts it, “God has given us the ultimate gift of free will. God doesn't judge; God accepts what I believe without prejudice.” She also notes that “we are all made in the image and likeness of God.” For fellow Christians, her energetic and accessible prose will be very inviting, as will her refreshing call to broaden faith into a lifestyle: “A TRUE prayer is how we live our lives,” she insists. “So ask yourself HOW, and then look at the results: what is your life experience? THAT is your prayer!” Her ruminations on the connection of personal self to a greater spiritual oneness become, in the end, a short but tremendously engaging spiritual autobiography. Overall, Trammell convincingly presents herself as a seeker trying to help other seekers, and her theme of ongoing, personal alchemy will appeal to a broad range of modern-day believers. A cleareyed look at how the faithful may transform their lives.